'saw this action figure at walmart for about 16 dollars. 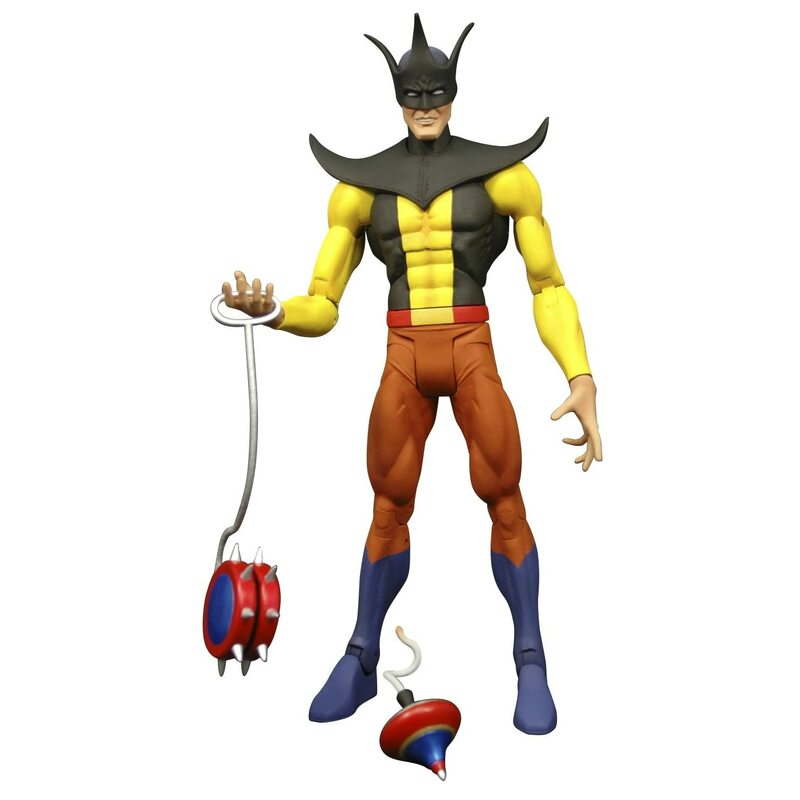 D.C. universe "Toyman," it looks like he has some sort of top and a rediculous yoyo as accessories. Re: 'saw this action figure at walmart for about 16 dollars. Oh my! I think I will have to ask for one of these for Christmas so I can put him in the Top Spinning Hall of Fame. He will love being out there all day and night long playing with the trompos and studying some of the amazing history of top spinners. Wow! My new super-hero: TOYMAN! Is that's a wick on the top? A spintop bomb? the way they were packaged at the store made it seem like he was holding onto what may be a wick, there were a few there and the hands were in different positions holding the wick, i couldn't figure out if it was supposed to be a wick or some sort of string or possibly a stem that had just been bent in shipping, they were bent different ways package to package.